After a well-executed restaurant grand opening, you may never have to spend a penny on marketing...ever! 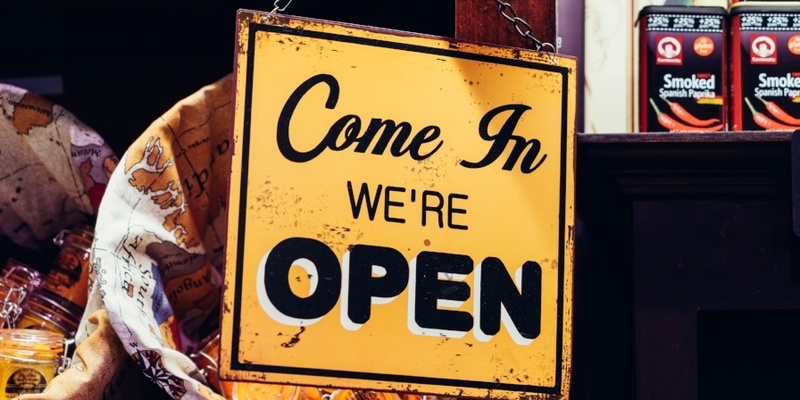 Orchestrate a poor grand opening, and you might be marketing yourself out of a hole for a very long time. You can’t watch an episode of Bar Rescue without hearing the host say that. I happen to agree completely, and believe it holds as much truth with restaurants as it does bars and nightclubs. So, if restaurants launch instead of open, you need to have an event for your restaurant's grand opening. But not just an event. There should be a couple of weeks where the only sleep you get is a few hours in the office between the last guests leaving and the morning crew arriving. You are launching a restaurant and your future depends on this, so you can't get lazy. If you want to have a great - excuse me - grand opening, the planning starts far in advance. Paul Motenko, the former co-CEO of B.J.‘s Brewhouse, grew the company from a couple of units to a nearly billion-dollar brand with units all over the world. He told me in an interview that they would send team members into a new community and hire their executive staff months before their opening. They would develop relationships with local charities, businesses, and the community at large. They would create excitement around the opening well ahead of the doors opening for business. The ideas below require some work. Restaurants are very personal to people. A successful opening won’t happen if all you do is mail some invitations and put a neon "OPEN" sign in your front window. Let's look at an example of how this is done. In the old days, when Chipotle would open up new stores, they would hire collage-age kids to attend community events like outdoor concerts, AYSO games, etc.. They would randomly throw t-shirts, wrapped like burritos, into the crowd. The best part is that the inside the t-shirt burrito was a coupon to get a free (real) burrito when the store opened. This kind of community outreach and grass roots marketing is what makes for a spectacular restaurant grand opening, and a spectacular grand opening is what makes for an amazing first year. In the early days of your restaurant, the purpose is test out your systems, recipes, operations, and staff. Before you open up, find the weaknesses and work on them. The first time you actually serve should be to your closest friends and family - a very small amount of very close friends that will not go public with any hiccups. These visits are totally free, one seating, limited menu visits, and there is a verbal agreement with each guest so they understand they are test subjects and must not share anything publicly. The second round of friends and family is still free, same agreement, but full menu and still one seating. The third round of friends and family are usually now employees' friends and family, so I suggest charging for beverages and spacing out invitations so you don’t crush the kitchen. Depending on your complexity and size, you can do these three rounds over three days. Most owners seem to forget that the people who helped you build your restaurant also live in your community and could be your best customers. So for one, treat them well while you are building and/or remodeling and then throw them a party where they can bring their families and show off the work they did. In all my endeavors, my vendors and builders were always my first core group of customers. We supported them and they want to support us. Personally, I can’t believe how few restaurants do this. The third leg of your opening celebration is to host a few parties or fundraising events for local charities. Most have huge lists of locals who are supportive through donations, and you can leverage that by offering your place up to help them raise money. You should do this because you actually want to help a charity, not just for the publicity, but if you do it right, the publicity and word of mouth marketing is undeniably amazing. The fourth leg of your opening celebration is an event for influencers. Remember, you have not opened up to the public yet, but you are close. This is your last chance to build up that demand in the community and get people excited. Reach out to every single blogger, tweeter, facebooker, author, speaker, reporter you can find in your community. Throw them a party and show them a good time. Don’t expect anything in return - don’t even ask for it - but if you deliver, they will show their support. They can’t help themselves from taking pictures and sharing a good time. It's finally time, the day has arrived, its your restaurant's grand opening! If by this point you have done everything correctly, you should not be worried about weather or not your will be busy. You should be worried about how you are going handle the crowds. There should be signs, balloons, banners, and - hopefully - a buzz around town for this by now. Personally reach out to everybody you know and invite them in. Depending on the type of restaurant, you should have bands and activities happening all day or all weekend. This is your last chance to get people talking. Previous to this day, you should have been passing out invitations to people in the community and/or have been mailing residences within a certain radius of your restaurant a coupon for opening weekend. The offer is in celebration of your grand opening and whatever you do, make sure it's a buy one get one type offer. You need to start generating revenue, so don’t do a completely free offer. Also, this usually leads to someone bringing a friend or family member, so it's another face your restaurant can be introduced to. This promotion can last anywhere from three days to two weeks. During the entire launch window, you should have also been handing out some kind of a “Bounce Back” offer. This is another coupon that is valid after your opening day ends, but extends another couple weeks. Everybody has been getting these - vendors, friends and family, influencers, charity attendees, VIP day attendees, everybody. The goal is to get them back in as soon as possible. It takes multiple visits to create new habits, so the faster you can get them back, the faster you can become a part of their routine. The restaurant grand opening is essential for generating early buzz about your restaurant that will carry the buzz into the first month, year, and beyond. Take it seriously, weigh out your acquisition cost compared to a customer lifetime value, and most importantly, get to work! What Ideas Do You Have to Make Your Restaurant Grand Opening a Success? Tell Us In the Comments!